Precede: 12th grader Đinh Thị Hương Thảo from Lê Hồng Phong High School in the northern province of Nam Định won gold medals in International Physics Olympiads in 2015 and 2016. Thảo also received the special prize for Best Female Asian Pacific Participant at the International Physics Olympiad 2016 in Zurich. She spoke to Ngô Chuyên about her passion for the subject. Inner Sanctum: How did your interest in physics originate? Each person’s study is a long process, and so was mine. I came to physics by chance and became really interested when I started to learn more about it. When I began high school I discovered my passion for the subject. Inner Sanctum: Physics is a difficult subject that requires logic, a good memory and maths skills. What are your study secrets? Each subject has it own difficulties. My study secret is nothing special. Just passion and studying with books and teacher’s instruction, that’s enough. Inner Sanctum: As an excellent physics student, can you share some tips to help other students improve their physics knowledge? Some students are not good at Physics because they are not interested or spent time on it. They just need spend some time, read physics books, do physics exercises and revise regularly. Inner Sanctum: Physics is a subject with many formulas. Do you have any special way to memorise them? Like learning new English words, learning a new formula needs a specific situation or exercise. It is also a good idea to write them down in a notebook. Inner Sanctum: How did you arrange your time to prepare for the International Physics Olympiads? I attended a specialised class and was given support from teachers to focus on my specialised subject. Inner Sanctum: How did it feel winning gold medals in the International Physics Olympiads twice and winning the special prize for Best Female Asian Pacific Participant? 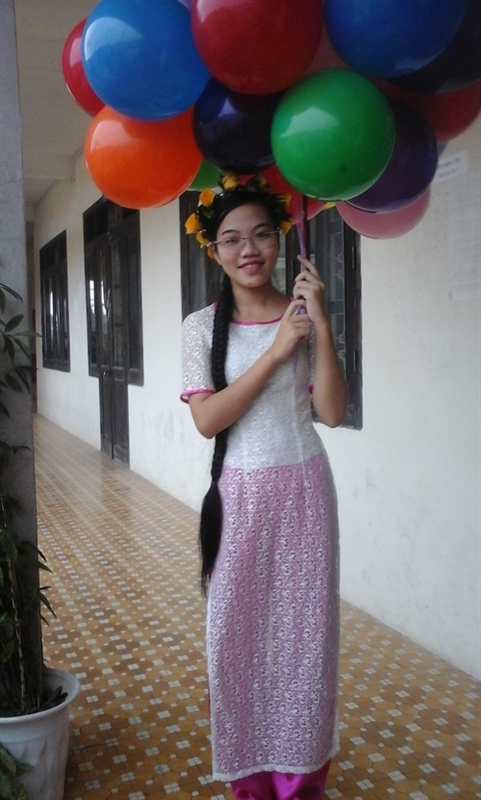 I was overwhelmed with happiness and pride, because I was the only girl in Việt Nam’s group of contestants. To be honest, I was less happy the second time I won, because I had not improved from the previous contest. I was very honoured to be the best female Asian Pacific participant, which will be motivation for other girls to pursue physics (which is generally thought to be for boys). Inner Sanctum: How has your family supported you to pursue your passion? My parents have always helped me so that I have the best conditions to focus on my studies, which is wonderful encouragement. Inner Sanctum: Who has been the most influential on you? I have been influenced by many people; students with excellent achievements in previous international Physics competitions, my teachers and my teammates who are also my opponents in the competitions. I will apply for a scholarship to study abroad and pursue natural science, which has been my lifetime forte and passion.